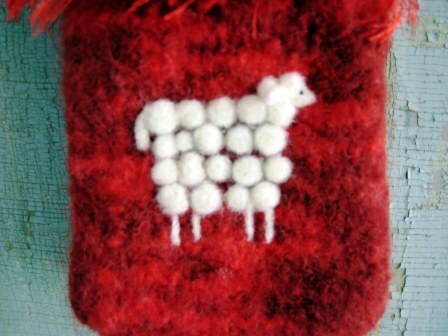 Well, not my ‘usual’ sheepy project, that is. 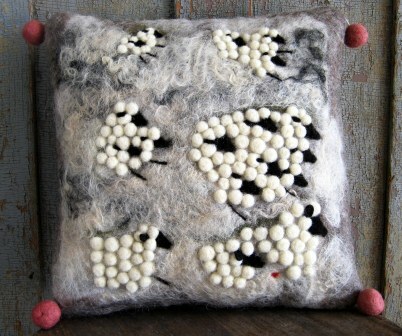 I call it my ‘Flock of Sheep’ pillow; much more abstract work than usual. 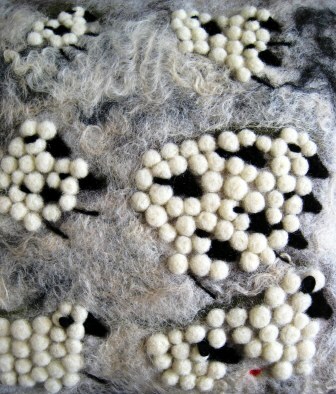 I wet-felted and needle felted his project using five different wool sheep breeds – to add dimension and texture. 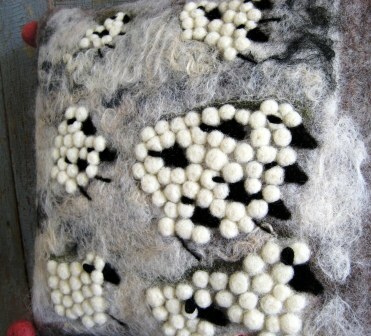 The finished pillow measures approx 11 X 11 – inches. 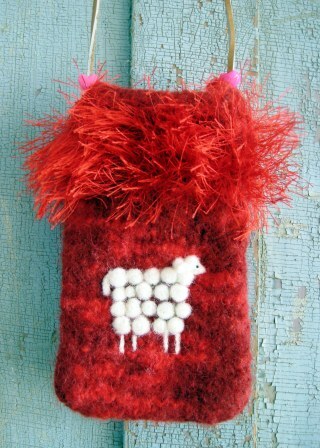 And since I’m on the topic of sheep, I finished a little fun & fuzzy red satchel, just big enough for a cell phone, iPod, camera perhaps? 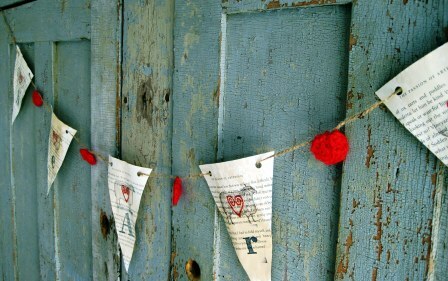 I’m still obsessed with stringing red hearts and sheepy banners all over the house… sheesh! Hopeless. 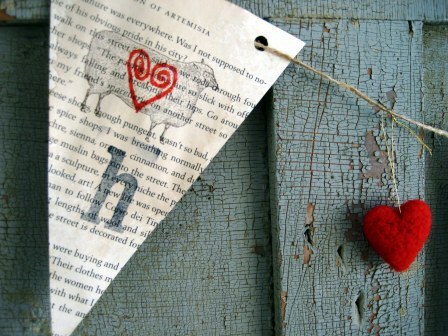 I tea stained book pages, stamped them with a sheep rubber stamp and a heart stamp (in red). 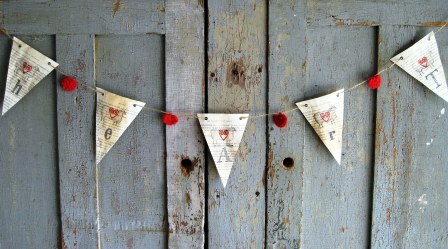 Outlined the heart with red glitter and stamped the letters h-e-a-r-t onto each pennant. 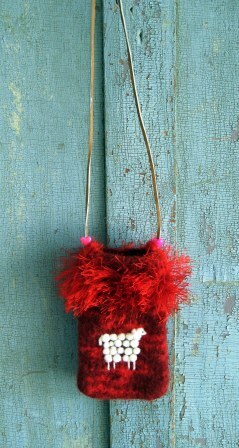 I added a few red needle felted hearts on one banner and sweet little red crocheted hearts on another. I went a bit nutz! 1 Round: Work 9 double crochets into the adjustable circle. Chain 2. Do not join to first chain 2 stitches. Slip stitch into the circle to finish round. Bind off. 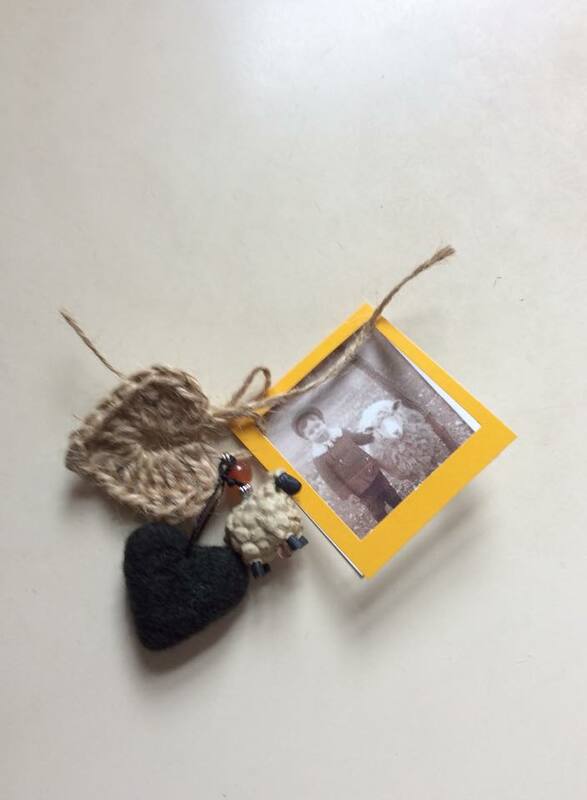 Pull the circle (heart) closed with the loose end. 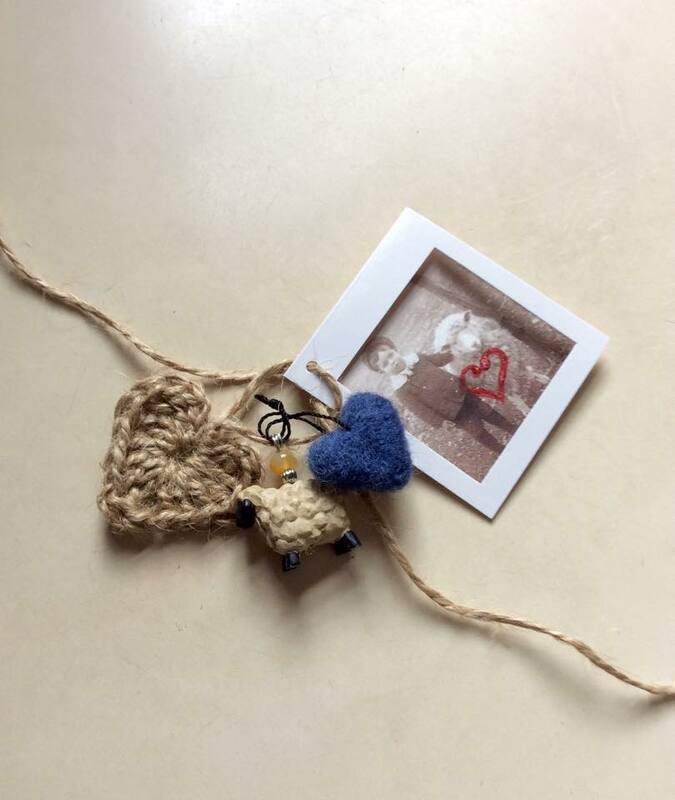 Tie the loose ends together in a simple knot. Sew-in ends.